Does your child with ADD or ADHD seem to have more meltdowns, moodiness and anger issues than other kids do? If you feel this way, you are not alone. Realize, also, that kids with ADHD and ADD often aren’t fully tuned in to what is going on around them; they miss important information, which causes them to misinterpret a situation and then react to what they think is going on rather than to what really happened. So as a parent, when you’re having a discussion with your child, pause frequently to make sure he is getting your point. Ask questions to make sure he understands. Welcome his questions or suggestions. Some ADHD kids lack the ability to be flexible and therefore go into meltdown mode when there is a change in routine—or when an expected event does not happen. For instance, let’s say your son is having a great time “rough housing” with dad, but does not want to stop when dad feels it has gone on long enough. This can become ugly and result in a fight—which will lead to fewer such play situations. Agreeing to use a timer (instead of dad) and stop when the timer says to stop can work well to avoid this kind of situation. 2. Don’t React – Respond. If you and your child have already agreed on how meltdowns are to be handled, then implement the plan. As an example, you might have agreed on a nonverbal sign that signals he or she should calm down, with a reward given (like points earned on a chart) if they respond to the sign and calm down. If you do not have a plan in place, then you can respond by saying “ Okay, WE have a problem here. 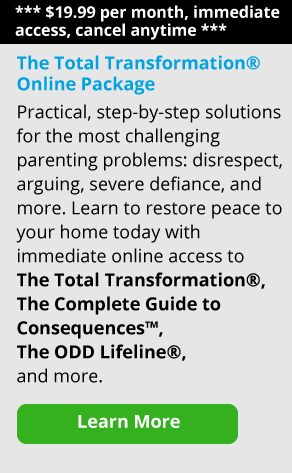 LET’S see how WE BOTH can solve the problem.” Find out what the child’s concern is. See if there is a way to address it. It is not giving in if you modify a situation in a way that is more accepting to the child while still meeting your needs. Good leaders listen to the people they are leading and incorporate the feedback they receive. Let me be clear: I’m not saying that you should give in to your child every time he stalls or whines. What I am saying here is that sometimes it is okay for us to listen to where our child is coming from. I have always advised parents of children with severe ADHD symptoms to do this because you have to pick and choose your battles. If this is an isolated incident, then problem solving could avoid a major meltdown. However, you absolutely need to follow up the next day with a detailed discussion on how this can and must be avoided in the future. If this is an ongoing problem, then simply stick to the program/plan you have already set in place. 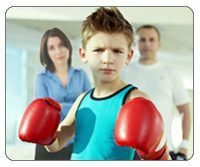 If you have been working on anger management techniques such a taking deep breaths, then remind the child to practice it. 4. Don’t Demand – Encourage. If you have a prearranged plan to follow or you have come to an agreement for this particular crisis situation, then you can say, “I know you’re upset right now, but I also know you can do a good job of calming down and doing your homework. You know what our agreement is; I bet you will do your part now, just like the great job you did yesterday. I love how you are getting better at this each time. I know this is going to keep getting better.” Kids with ADD and ADHD react well to positive reinforcement, rather than to criticism. The more you can praise real effort and good results on their part, the better. 5. Don’t Give Up – Stay Committed. Raising a child with any type of special need, be it developmental, psychological or medical, requires a tremendous amount of patience and quiet strength in order for you to endure and continue to handle tough situations when they come up. Make sure you have a good support system. There are support groups for parents of ADD and ADHD kids that have been very helpful for many. Connecting with other parents who know what you’re going through and who will listen without judgment will help you feel less alone and more resilient. I also recommend taking a break from time to time to do something fun and relaxing for yourself. From time to time, try to view the whole situation from the 30,000 foot level to see the progress you’ve made so far, both personally and as a family. Meltdowns now and then can be a bump in the road to helping your child learn to cope with the day-to-day events he encounters in his life. If you have truly committed to following a behavioral approach under the guidance of a mental health provider and are not seeing progress, please don’t hesitate to discuss this with your child’s physician. A referral to a child psychologist for a comprehensive evaluation may uncover other conditions that may need to be addressed. Sometimes ADHD may be misdiagnosed, or a child can have more than one disorder; all need to be addressed. When talking to a professional, you should try to tell them when and where these episodes happen, and what took place just before the meltdown. These are valuable clues that a well-trained clinician can use to perhaps modify your approach or discover an underlying skill deficit that can be improved or addressed. Sometimes, when behavioral approaches have been in place for a while and have been tweaked all they can, medication may need to be considered. Parents should be cautious about having their child placed on medication prematurely, but when symptoms are severe and interfering with a child’s ability to function in several environments, then medication should be considered and can be extremely helpful. Special kids may need special handling, but in the end it is worth it because they ARE special.